The LCMS Specialized Pastoral Ministry newsletter includes a preview of “SPM in the Midst of Crisis,” an educational event scheduled for Oct. 2-4 in Belleville, Ill. 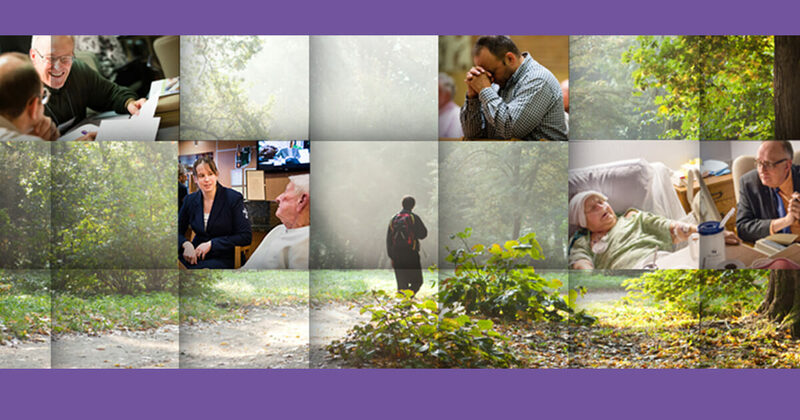 The LCMS Specialized Pastoral Ministry newsletter highlights “SPM in the Midst of Crisis,” which is the theme of two educational events in 2018. The LCMS Specialized Pastoral Ministry newsletter for August 2017 shares information about the SPM educational event on Sept. 19-21 and the new Electronic-Extended CPE program. The LCMS Specialized Pastoral Ministry newsletter for May 2017 highlights a new all-electronic, full-credit Clinical Pastoral Education program starting this summer. Specialized Pastoral Ministry’s December 2016 newsletter highlights 2016 Christus in Mundo award recipients – Rev. James Rivett and Rev. Dr. William Wagner. 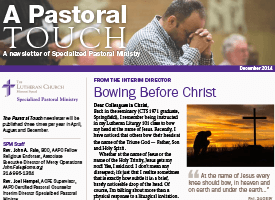 The August 2016 issue of A Pastoral Touch shares information about the Zion XVI Conference Sept. 15-18 in Belleville, Ill., the first LCMS SPM online learning group and other important items. The April 2016 issue of A Pastoral Touch shares information about the SPM Recruitment Task Force, the Zion XVI Conference Sept. 15-18 in Belleville, Ill., and other important items. In the December 2015 issue of A Pastoral Touch, LCMS Specialized Pastoral Ministry (SPM) discusses the opportunity for rostered ministers engaged in Emergency Services Chaplaincy to be grandparented into SPM. 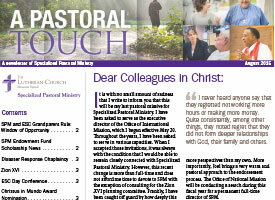 The August 2015 issue of A Pastoral Touch discusses the opportunity for rostered ministers engaged in Emergency Services Chaplaincy to be grandparented into Specialized Pastoral Ministry. 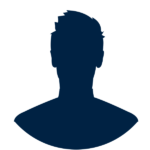 In this issue from LCMS’ Specialized Pastoral Ministry (SPM), information is provided about the “Soldiers of the Cross” ministry fund and the “Veterans of the Cross” retired worker fund.